One that Jon got from Maddy Prior and Tim Hart again and he simply says, “A bit soppy but a nice tune.” Mainly Norfolk has the detail of Maddy and Tim’s version. This seems to be very old indeed, although here I am having trouble nailing the exact thread, but this Mudcat link should get you started. Please add what you can. This entry was posted on Saturday, August 16th, 2014 at 12:00 am and is filed under News. You can follow any responses to this entry through the RSS 2.0 feed. You can leave a response, or trackback from your own site. A very nice version Jon. I used to sing this one, and though I lost the books, I think I got it from Chappell’s Popular Music of the Olden Times. This was collected in Dorset from Robert Barratt in 1905. It’s published in ‘Marrowbones’. According to the notes it derives from ‘The Constant Lover to a Northern tune called Shall the absence of my Mistresse’. It was registered at stationers hall in 1638 but might be as early as 1595 possibly by Robert Southwell. Chappell prints a West Country tune close to Barratt’s and this version. Apologies if this is boring. Hooray………….this shows that some “soppy” songs are lined up down the line. 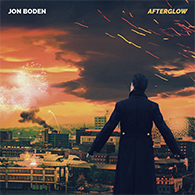 This is one of my old favourites and well sung as usual…………I notice Jon didn’t change the gender……and as for calling it soppy………Jon…has “romance” gone out of your life at the tender age of 33!…keep ’em coming. Linda…..not boring at all..thanks for the info.I put all such stuff along with the song in my collecting book…….Most of my songs come from yonks ago on “Folk on two” with dear old Jim Lloyd but he never had this sort of info to hand of course. Phil – I’ve come across that older version of the words too, and have had a similar idea. A beautiful song, and beautifully executed. I too came to this via Tim and Maddy’s version, but recently I’ve been particularly taken by Nancy Wallace’s sublime rendition. It’s on her Old Stories album, but she always sings it live. Linda Thompson recorded a beautiful version of this song at Woodworm Studios, accompanied by Simon Nicol, Dave Pegg, with Sheila and Sheryl Parker (who?) on backing vocals. It’s on the Hannibal Records compilation “Dreams Fly Away” – probably no longer easy to obtain. 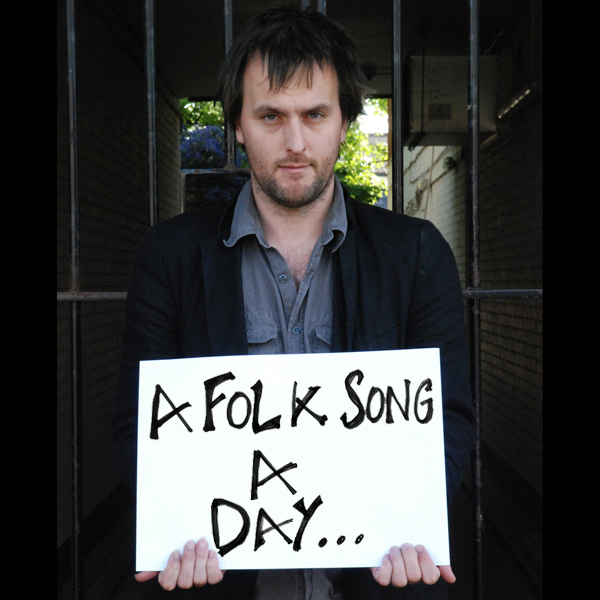 Thanks Jon for reminding me (and you were brilliant at Cropredy). I have recollections of hearing The Bishop of Welling (aka Barry Laing) of Skinners Rats singing this at Farningham Folk Club 25 years ago or more. More about Live Not Where I Love from the Vaughan Williams Memorial Library at the English Folk Dance and Song Society. There are 13 records of Live Not Where I Love in the Library, most of which appear to originate in the south-west of England. We used the Roud number to cross reference against different titles for the song. When searched on Roud No. 593, this rises to 19 records; also known as ‘Farewell Lads’. It has been collected by Cecil Sharp, Percy Merrick and Henry Hammond, amongst others. There are 2 records of the song in the Take 6 archives, collected by Anne Geddes Gilchrist and Henry Hammond. None of you are boring with your unbelievably extensive information on songs, singers, provenance etc… a bit overwhelming sometimes, for the likes of me. I put this down to me being a mere listener and breathless follower, whereas many of you are practitioners, so that makes me feel better! I thought this had a lovely old air feel and no, romance is not dead! Yes Janie, romance will never die! It’s no wonder so many artists have had a crack at this one; most of us can identify with being unable to be with the one they truly love. I know I can, and she knows who she is. Ahhh! Jon, you sang it well, as usual; the standard remains high and the song selections are fascinating. I love this song, but since I’ve been living with the same person since 1987 my feelings about the song are based on… er… very very distant memories. (That’s my story and I’m sticking to it.) It’s a slightly uncomfortable choice for singing around the house, though! I first heard this lovely song sung at Sidmouth by Eileen McGann, the Canadian singer songwriter, at the Arts Centre. The dates on the cassettes I bought are 1987 ‘Elements’ and 1991 ‘Turn it Around’ so the concert must have been around then when Sidmouth was still International. A singer worth checking on her website. Lovely pure voice and her own songs are beautifully intense. 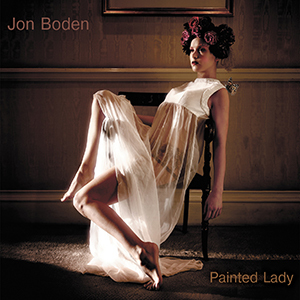 Hope Jon Boden has heard her! I found the beautiful Linda Thompson recording that Richard C. mentions above on a re-issue of two of Simon Nicol’s solo albums in a 2 c.d. set called ‘The Solo Excursions 1986-1992’ They were still being peddled at Fairport gigs a year or so ago so are probably still available. Although it is probably much older, I always associate this song with the 18-19th cent when the only work available to young girls from poor families, (apart from the obvious) was to go ‘into service’ which would probably take them huge distances from their families and the boy they loved. Hard work, long hours and very little time off to return home. A lovely romantic tale. Sung delightfully – really liked this sentimental song – such a pleasant change. I had some fun with this one. Starts a bit weird, but stick with it. Have just read “Bellowheady” on Wakipedia – very clever and very funny! You can find a link on previous song under Reinhard. Here I am two years later…checking Diana’s link to Wakipedia…and find they say rude things about morris dancers i.e.- (the item bears no resemblance to Morris dancers-dead or alive’)…that’s not nice is it! No it isn’t MUzza, not nice at all. Don’t suppose I will ever catch up with you. Hi Diana………good to know that you are out there….I forgot to say that this is one of my favourite songs -though the tune I know is slightly different…might put it on Youtube but might be a little high for me in parts. Forgot to say that:- having re read the comments……….Peter Walsh wore his heart on his sleeve with his 2010 comment…..none of us challenged him at the time ….perhaps because most of us have had such an experience!